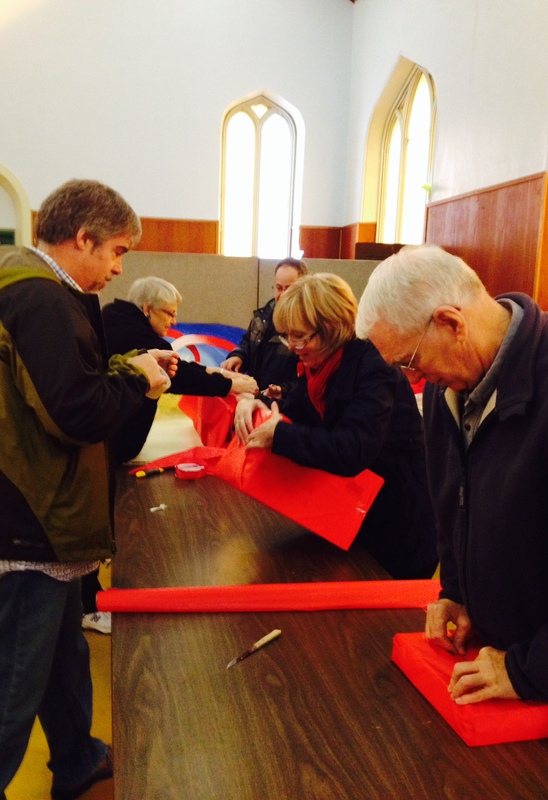 Algoma Deanery clergy wrapping gifts to decorate The Greatest Gift parade float. If the snow accumulating across the deanery wasn’t enough to remind you that Christmas is fast approaching, then this will! 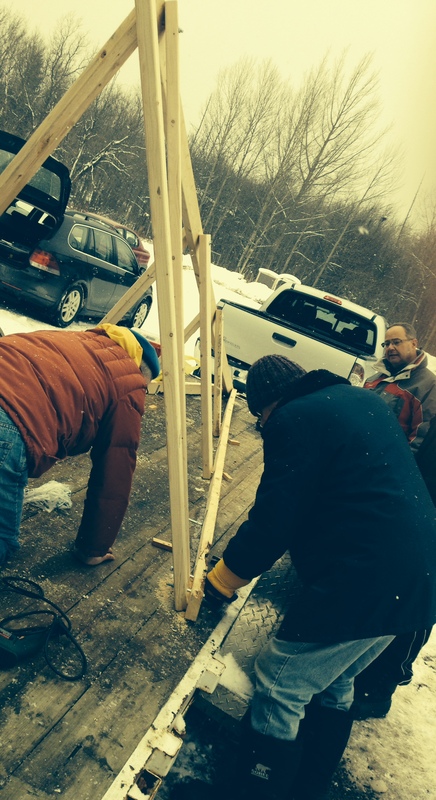 The Deanery of Algoma has been working hard on creating a parade float that will be entered into Christmas parades throughout the deanery. The float is titled The Greatest Gift, with the hope of calling to mind our Christian belief that it is Jesus who is indeed the greatest gift. The Greatest Gift parade float will make it’s first appearance in Blind River, followed by Sault Ste. Marie and finally Echo Bay. November 18, 2014 in Christmas, Evangelism, Miscellaneous, Mission.